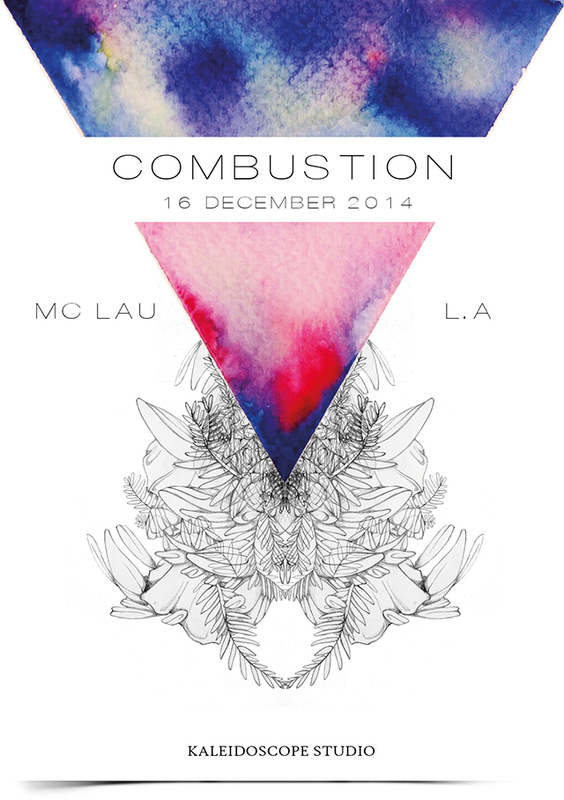 From 12 to 17 December 2014 Kaleidoscope Studio will be presenting their first two man show. Entitled “COMBUSTION,” the exhibit features two young artists who have grown and progressed together throughout the last few months. The art in this show is vibrant and expressive and although both have similar aesthetics, they each manage to retain their own definitive identity. Working in collaboration has ignited a fresh perspective in Wilson and Lisa’s artwork, a positive and inspiring example of what can happen when creatives get together and guide each other to reaching new heights in art making. Wilson’s style of using watercolour feeds into Lisa’s work and way of painting, while Lisa’s delicate lines and flow have seeped into Wilson’s line work. 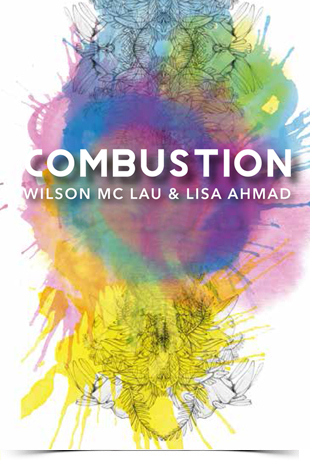 The art works can appear from two very different worlds : Wilson’s work which is figurative and Lisa’s which is abstract. In the gallery these two worlds collide to create a show of works that can be called ‘moodscapes.’ Full of energy, colour and expression ‘COMBUSTION’ also gives viewers a different take on what are considered traditional and basic modes of working - drawing and watercolour, showing them to be mediums that should not be discarded but celebrated. Wilson Mc Lau explores his emotions through his splashes of watercolour and figurative imagery in a street art style. Drawing from natural flora and fauna and also portraiture, each painting is spirited and dynamic. Pools of paint and splatter are painted in vivid and striking colours that meld and bleed into one another conveying mood and atmosphere. While his figurative imagery and use of composition demonstrates his skills in portraying subjects in a creative way. Wilson’s work is particularly full of character and unique to him as an artist. A viewer can feel above all that his explorations in watercolour are a reflection of personality and an expression of his love for art and painting. Lisa Ahmad utilises natural forms to convey intangible concepts. Creating images through stream of consciousness drawing and using organic forms from flora and fauna as inspiration, dense line work combines to form intricate images that are meant to be springboards for the imagination. Psychological in nature, the networks of lines and shapes reflect a viewers own psyche as it acts a trigger to inspire imagery from their own minds. The use of organic forms is also meant to have a calming effect as it invites people to see everyday shapes and forms in a different way. Colour is also an important part of her painting and similar to Wilson, her choices in hues represent moods and injects particular atmospheres within each painting.